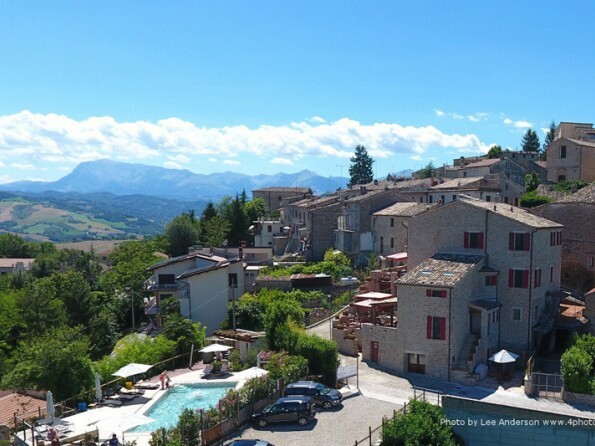 This apartment in the foothills of the Sibillini mountains in Italy’s Le Marche is immediately next door to a boutique hotel giving you access to its pool and restaurant. Set in a sleepy hilltop town, the apartment is only a short distance to the beaches and is surrounded by wonderful walking country. The apartment is ideally situated on the edge of the town, is completely independent but is also right next door to our small intimate, boutique hotel and all the facilities that has to offer - terrace bar with stunning views across the countryside, infinity edge swimming pool, restaurant with a wood burning pizza oven, salone - and all on your doorstep. Shops are within walking distance as is the restaurant attached to the hotel - so there's no need to drive out at night in search of a restaurant on the evenings you don't want to cook - just stay here and relax with a nice glass of our local wine! 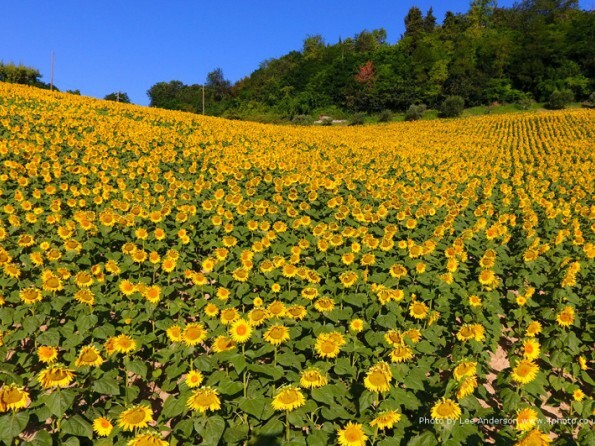 There's also the possibility of joining any of the organised activities arranged by the hotel - wine tasting, Montelparo tour and a visit to a local olive oil factory. Take a stroll from the hotel and relax by the pool in the afternoon. If you prefer your pace a little slower we can show you some interesting trails directly here from the hotel. You can gain an insight into local life in the surrounding hilltop villages or visit some interesting geological features nearby. We have many route cards, guide books and hiking guides available for you to take out and discover the national parks and their surroundings at your leisure. You'll need your own transport and be handy at route finding and have some experience of walking in hills and mountains. Pedaso is the nearest beach resort at around 25 minutes away. Also Porto San Giorgio and Grottamare can be reached in around 40 minutes. 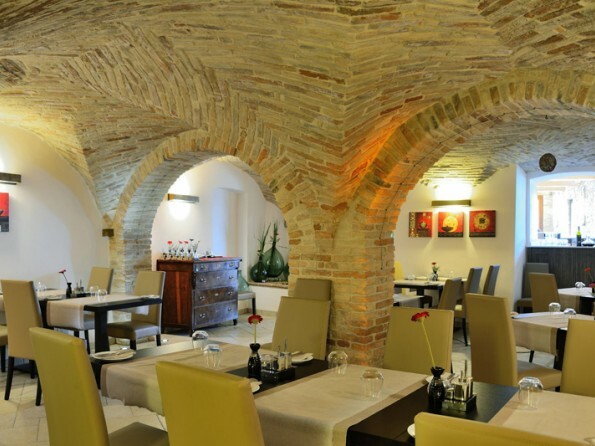 Situated on the edge of the historic centre, the apartment is part of the Hotel Leone complex which includes a restaurant and bar and is just minutes walk from the local supermarket, bank, post office and beauty salon. 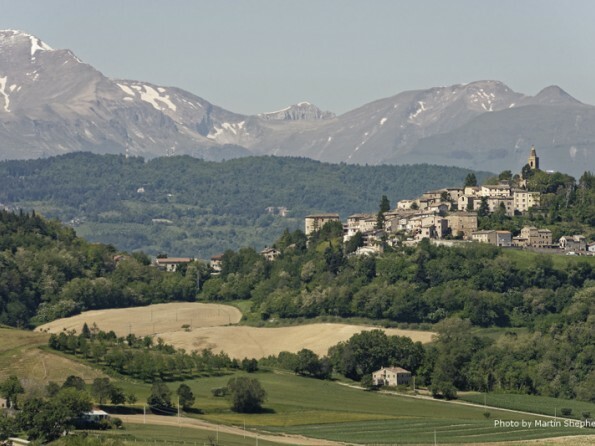 The nearest airport is Ancona, just over an hour away, but you could also fly into Pescara, Rimini, Perugia or Rome. The nearest train station is Pedaso, or you could hire a car and drive, but be aware that the hotel has limited parking spaces. Airport transfers can be arranged. Recently restored to a high standard the apartment has a spacious open-plan living, dining and kitchen area, double bedroom, alcove off the main hallway with bunk beds for two children and a large bathroom with walk-in shower. The apartment has a fully-equipped luxury fitted kitchen with gas hob, electric oven, microwave oven, dishwasher and fridge-freezer. The living / dining area has an L-shaped leather settee, coffee table, flat screen Lcd television with a Bose home entertainment system attached. 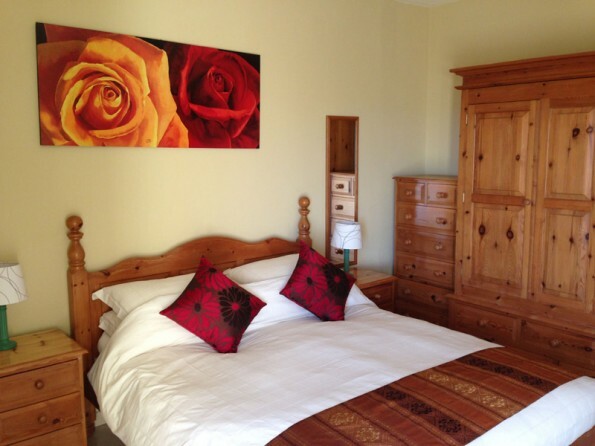 The bedroom has a matching suite of a king-size bed, bedside cabinets, wardrobe, chest of drawers and dressing table and has a Juliet balcony from which to view the stunning countryside. The bathroom is fully fitted and has a large walk-in shower. 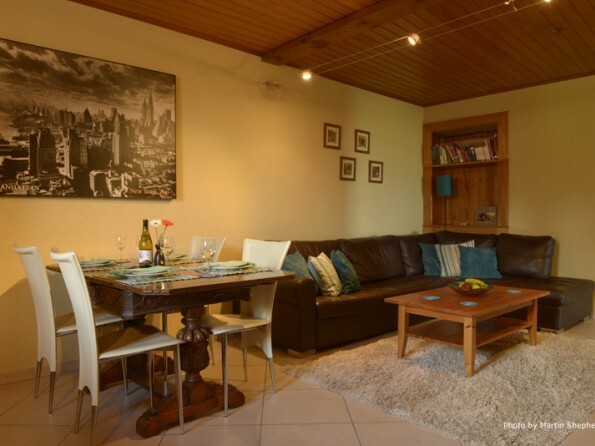 In addition the apartment has underfloor heating, a log burning fire in the main living area, a washing machine available for your use and, unlike most properties in the area, fast speed, free Wifi throughout. 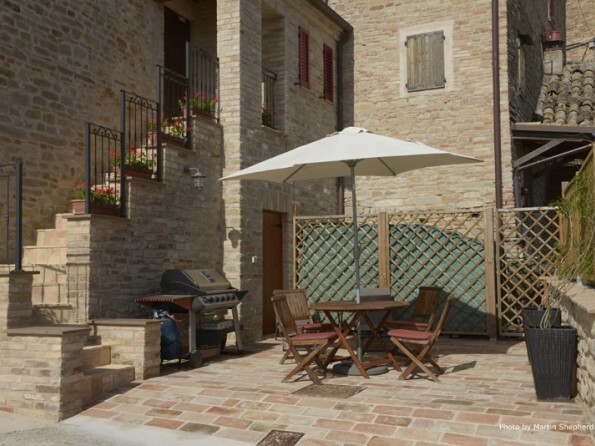 Externally stairs lead down to a privately fenced brick courtyard area with table, chairs and a gas Bbq and with expansive views across the rolling Le Marche countryside all the way to the azure Adriatic coast. 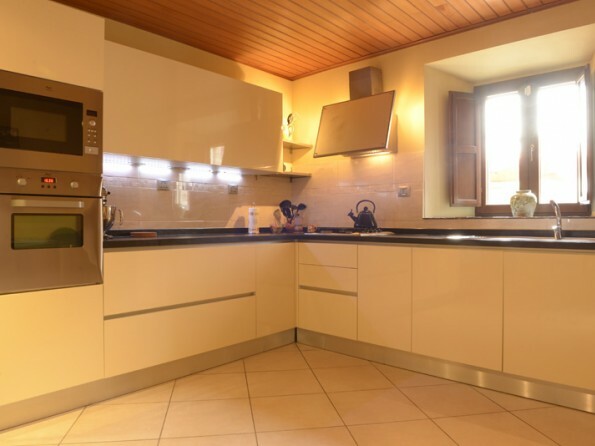 It is attached to boutique Hotel Leone with unrestricted access to all its facilities and is only minutes walk to local supermarket, bank and post office in the town. 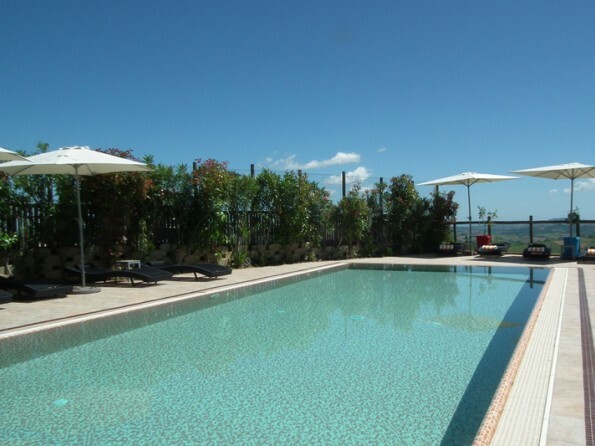 Gated 12m x 5m shared infinity style swimming pool set in landscaped garden. Full pool-side drinks and food available throughout the day. 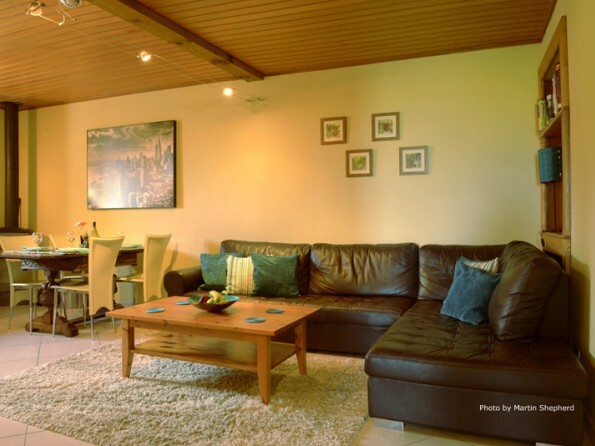 A 25% deposit is required at the time of booking and the balance 8 weeks before arrival together with a €300 security deposit. Any cancellations made within eight weeks of arrival date will result in a loss of the 25% deposit. Cancellation made within 4 weeks of arrival will result in a 50% charge, otherwise the full cost will apply. 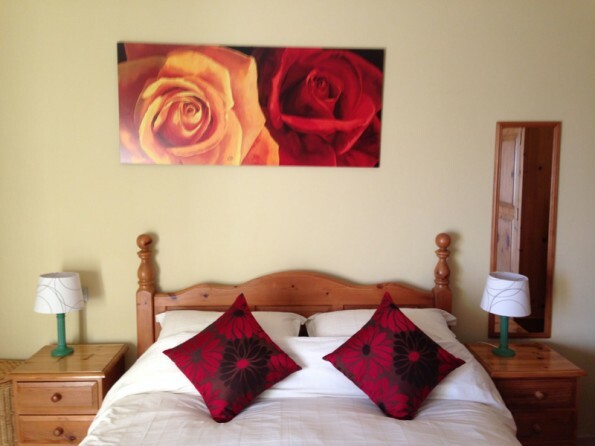 All bed-linen and towels (including pool towels) are provided. Once a week the apartment is cleaned and the linen and towels are changed. A more frequent service is available at an additional cost if required.